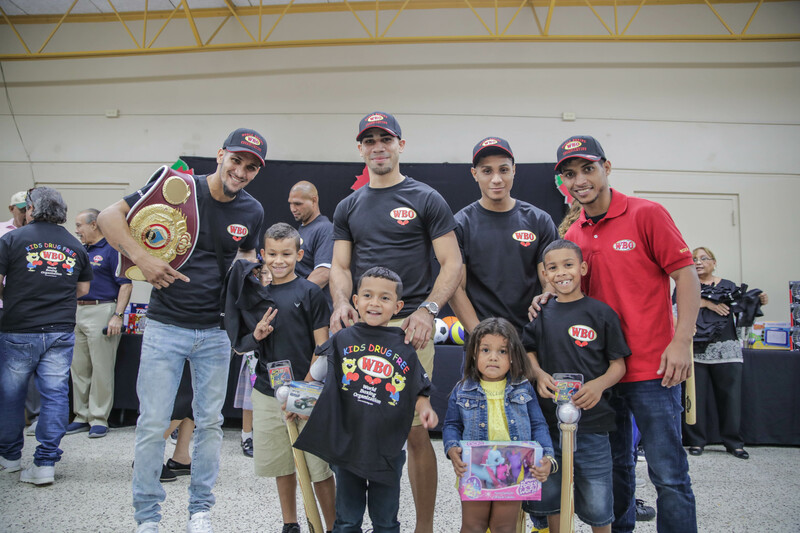 An emotional Sister Mildred Vázquez, Spiritual Director of the centers of Puerto Rico, said: “The WBO and Paco Valcárcel have been committed to us for around 20 years. There are many gifts that will be distributed to the other centers that we have in Puerto Rico. Since day one, which was a long time ago, I remember that Paco told us that the WBO was never going to forget us. His deed is very important for all of us. We will never forget the great help you gave us then Hurricane María hit us hard; we are very grateful”. “Respect for the school, respect for the church, respect for their fathers and mothers, respect for the elderly and respect for their peers. Respect is the most important priority in life said our Savior”, Valcárcel expressed to the large number of children present. “Sister Sor Isolina always knew how to multiply the fish and bread. She was sent from God. They can count on us every year, the commitment will continue, and we love them very much”. CSIF has contributed to the well-being, security and socioeconomic development of Puerto Rico since its foundation 49 years ago at the Ponce Beach by Sister Isolina Ferré, MSBT. Its corrective programs and prevention, human development and community development provide solutions to address problems such as school dropout, violence, and unemployment and the economic crisis. The different programs and services are offered in 24 towns of the Island, including regions of Ponce, Guayama, San Juan, and Canóvanas, among others.